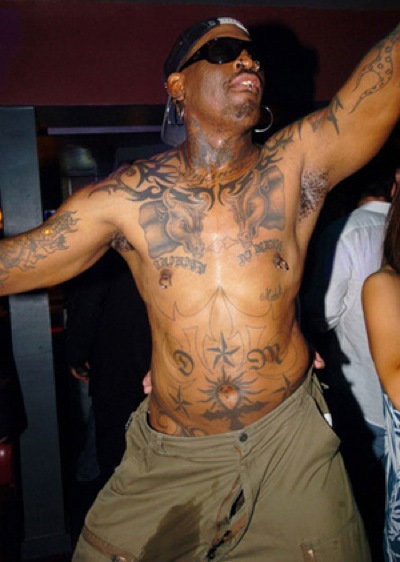 Dennis Rodman Enters Rehab. Sort Of. Don’t know if you caught Dennis Rodman on the Celebrity Apprentice earlier this season, but dude’s got problems. And a lot of them like to come to the surface when there’s booze involved; vodka and cranberry, if you’ve got it. Dennis was ultimately fired by Donald Trump because of his behavior, and without really saying it, Donald made it clear that the former NBA star needed to get help. Apparently Dennis Rodman’s friends agreed and urged him to get help at an inpatient rehab facility. Dennis agreed to seek treatment, but on his own terms – because Dennis Rodman don’t work for nobody but Dennis Rodman (I think he yelled that at Clint Black or something). The former NBA star, who has battled addiction for years, has agreed to enter an outpatient program where he’ll regularly see a counselor. While it is a step in the right direction, last week family and friends of Rodman, including his former Los Angeles Lakers coach, Phil Jackson, unsuccessfully reached out to the star, who refused to admit himself to an inpatient facility. next post: J.D. Leaves Sacred Heart Tonight. Is Scrubs Over? 53 queries in 2.669 seconds.